Amazing Platformer! 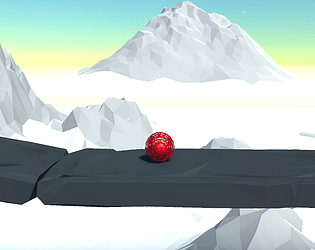 I really loved it, relaxing music ... amazing graphics, smart creative way to use the two balls. The game is nice! jumping is pain lol ... It doesn't respond on the exact time. I like the attachment between both balls. Yeah, there's input lag for some reason. Really good soundtrack and low poly design. Got stuck in the last level where you have three poles but then managed to do finish it. Enjoyed the idea of collaboration. Sorry, hehe. It was designed to be difficult, to challenge what you have learned across all previous levels. The game is so beautiful and peaceful. It didn't seem possible to make the first jump though, any hints? If you have the blue orb then you can start jumping. This time it worked! jumping is buggy, otherwise the game is really awesome..!! We tried our best to tie the setting with the main mechanic. I hope we did it well.